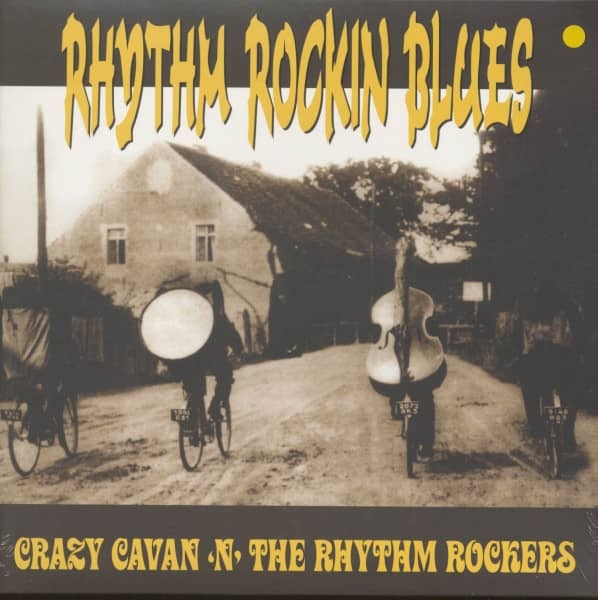 "Crazy Cavan & The Rhythm Rockers"
In the early 1960’s Lyndon Needs would go and visit his cousin Terry Walley who lived just outside Newport, South Wales in a place called Goldcrest. They would practise guitar riffs and together with Lyndon’s school friend Gerald Bishop who played drums, they started out playing Shadows instrumentals . They found themselves needing a place to practice and managed to hire a small room on a caravan site at Pye Corner. 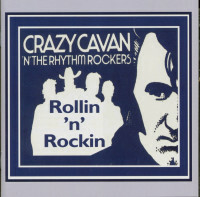 There was young Rock ‘n’ Roll Fan, Cavan Grogan, who lived on the site with his parents, Brothers and Sister and it wasn’t long before he joined the Band, bringing his own musical influences, for example Bo Diddley, Screamin’ Jay Hawkins and Carl Perkins....it was goodbye to “Apache” and “Foot Tapper“ forever!! Count Dracula & The Vampires were “born”. 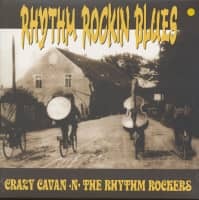 With Lyndon listening to Cavan’s LP’s in particular Carl Perkins “ Dance Album” he was exposed for the first time to Rockabilly and this was a pivotal moment in the bands musical development. Cavan introduced Lyndon to another Pye Corner resident “Breathless“ Dan Coffey, a Teddyboy just like Cavan and a huge Rock ‘n’ Roll fan. Dan was the editor of “The Boppin’ News”, one of the first Rock ‘n’ Roll Fanzines. In 1966 Dan visited America for the first time and began shipping box upon box of Rock ‘n’ Roll records in particular Sun Label back to Newport. 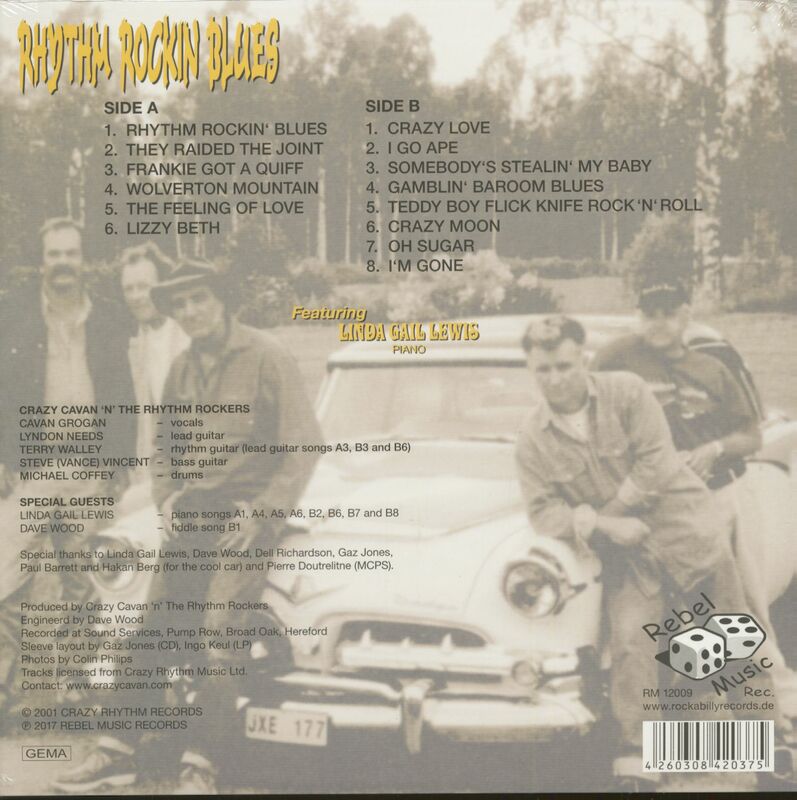 The music from Junior Thompson, Sonny Burgess, Billy Lee Riley and Charlie Feathers had a great influence on the Band. They were among the first people to hear the records we now all know well. In 1969 the Band changed their name to The Sundogs a name inspired by Alan Freed’s tag of “Moondogs” from his radio show and the Band’s love of Sun Records. The final name change came because they had heard of a new band in Penarth S.Wales , Shakin’ Stevens and the Sunsets, they didn’t want Shaky and Co to think they had copied the “ Sun” part of their name. By 1970 Mike Coffey had replaced Gerald Bishop on drums and Don Kinsella was playing Bass Guitar. 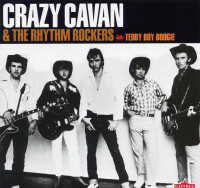 Crazy Cavan and the Rhythm Rockers took their final name and the scene was set. From playing their first Gig at the nearby Airbase in Caerwent the Band were on their way, getting about £15 - £20 a gig! Soon they were venturing further afield playing Universities and Rugby Clubs. An early highlight was when the Band supported Gene Vincent in Swansea 1971. Later that year Melody Maker were advertising, asking for Rock ‘n’ Roll Bands to play in London. In June 1971 the Band made the 6 hour, pre motorway, journey to London to play at The Fishmongers Arms, also known as “The Houndog Club”. They were asked back later the same year and were a sensation. After releasing their first EP IN 74, Rockhouse Records asked if the Band would be interested in travelling to Amsterdam to do a whole Album. In ‘75 they were also invited to play at “The Hard Rock Cafe“ in Copenhagen for a whole month, the decision to be a professional Band came about because the boys were devoting so much time to the Band that one by one they lost their jobs. It was a great experience and brought the Band together because of the amount of time they were on stage together 5 nights a week three 45 minute sets each night! After the Denmark gigs, it was off to Amsterdam, to cut the first LP ”Crazy Rhythm” a classic Album and a sensation when it was released in ‘75. 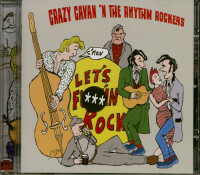 And so this was the early part of the CC&RR story, thousands of gigs, many Albums thousands of miles travelling worldwide ensued, taking their unique “Crazy Rhythm” style of Rockin’ to the masses. 43 years on and still going strong ,still touring , still making Albums. 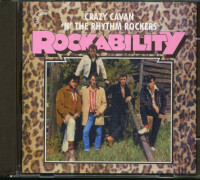 Their career is testament to the commitment of the Band who brought Teddyboy Rock ’n’ Roll to the Rock ’n’ Roll Scene. 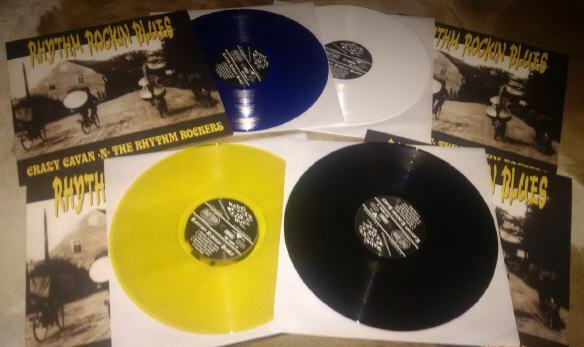 Kundenbewertungen für "Rhythm Rockin Blues - Yellow Vinyl (LP)"